There you can see "Add existing server" link. 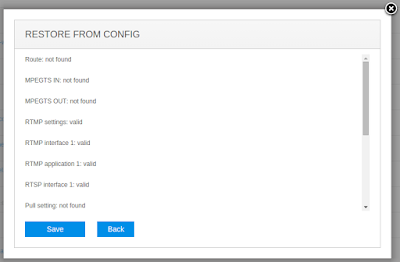 Click on it to open the following "Restore from config" dialog. Here you can insert the routes from rules.conf. 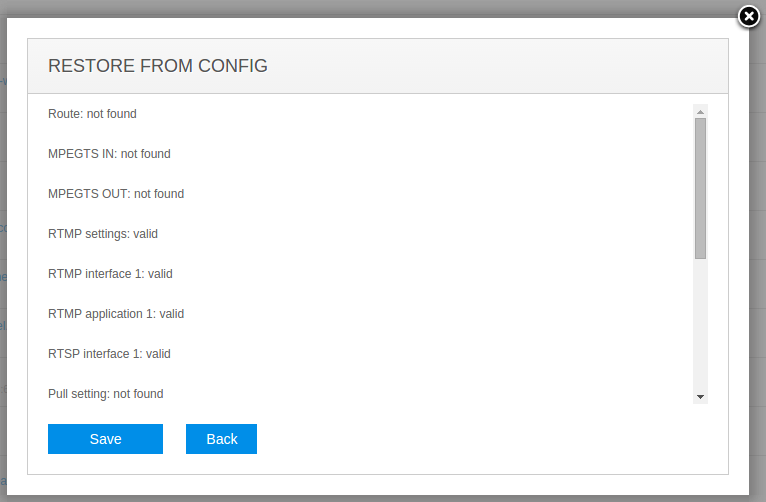 Now click on "Check config" button. The result will appear in the same dialog as shown below. If anything is wrong, the corresponding line will be highlighted with red. Now you can click on "Save". 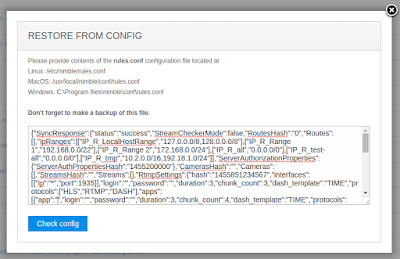 This will add new server in WMSPanel and all you need now is to register your server in WMSPanel in a special way using restore command. It will appear after you click Save as shown below. Final command to re-register the server. You need to copy the appeared command. After closing the dialog you will see a new server in the list being marked as "offline". 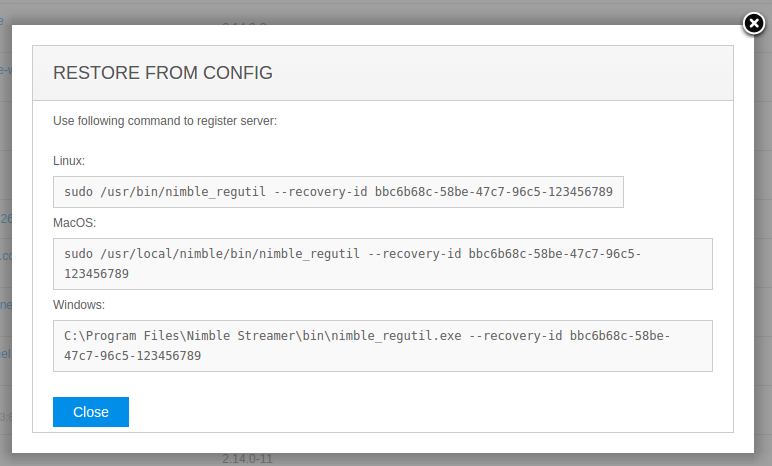 That's it, Nimble will appear in the list of servers as "online". Please also check other server restore features. Repair configs after HW failures - this one works great if you change HW on your existing server or restore it after HW failure. Deployment automation - this on is good for the cases wen you automate your infrastructure deployment. E.g. 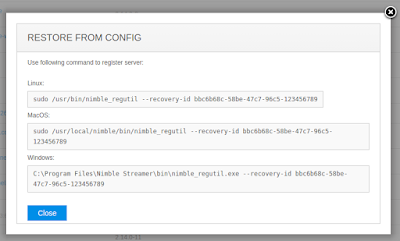 you clone virtual machine with Nimble installed, and need to register it in WMSPanel in order to get statistics and perform further setup manually for multiple servers. Let us know if you have question on this or other features.